Image: (Left to right) Prof. Stephanie Creary with Wendy Freeman Carr, W’92, Oris Stuart, and Martin L. Schmelkin. 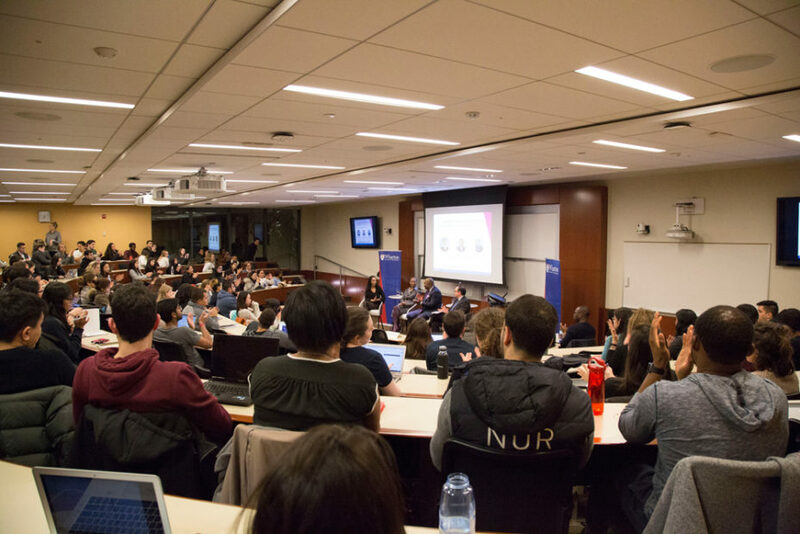 Prof. Stephanie Creary’s latest panel on December 3, “Building Inclusive Workplaces in an Era of Discord: Insights from Diversity Experts,” drew a packed room at Steinberg-Dietrich Hall, where her three guests spent the hour fielding hard-hitting questions. The panelists — Wendy Freeman Carr, W’92, managing director at Deloitte Consulting; Oris Stuart, National Basketball Association’s (NBA) chief diversity and inclusion officer; and Martin L. Schmelkin, JD, labor and employment partner at Jones Day — surveyed some of today’s most pressing social issues and their far-reaching effects, as well as strategies to help companies and employees navigate an increasingly sensitive workplace. Rather than be-all end-all solutions, their discussion highlighted the importance of being open to growth in an ever-changing climate. More than ever, organizations need to consider how diversity and inclusion can impact their success and long-term sustainability. Updating existing or outdated policies is just the beginning. Dare to reframe your perspective. Some innovative organizations, like Deloitte, have continued to evolve their approaches to fostering an inclusive culture. Last year, the firm launched Inclusion Councils in addition to their existing ‘affinity groups,’ providing opportunities for people of different backgrounds and perspectives to learn from each other and share common passions and interests. 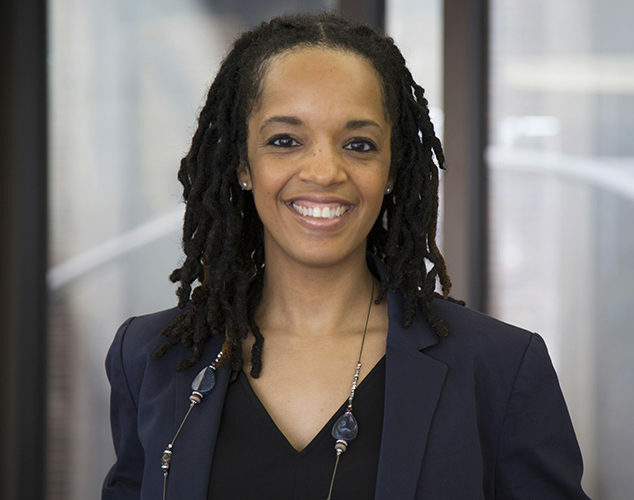 Carr, a managing director at the firm, said affinity groups already offer valuable connections for individuals based on demographics or background, as well as opportunities for courageous conversations in the workplace. The new Inclusion Councils, which have been successful in Deloitte offices across the country, encourage employees to diversify their connections even further. Help each other be the best you can be. The NBA has dealt with protests a bit differently than the NFL, partly due to the existing framework of their Collective Bargaining Agreement with athletes, which codifies appropriate behavior during the National Anthem. Stuart believes the practice of encouraging individual expression has also set the NBA apart. Off the court, the NBA has also developed their own custom learning experience. ‘Everyday Inclusion’ lays out skills and behaviors in the workplace to interrupt both conscious and unconscious bias and how to act inclusively. In meetings, for example, employees are advised to give credit where credit is due for a good idea, or to publish agendas in advance to give introverted employees a chance to prepare. Meanwhile, leaders at Deloitte have been “setting the tone” for more authentic conversations by sharing their own vulnerabilities and personal experiences. Deloitte has also emphasized the importance of leaders mentoring and sponsoring individuals from a wide range of backgrounds and giving everyone an opportunity to have visibility to leadership. Despite recent inclusion efforts, there’s currently no federal employment law protection for LGBTQ+ employees, many who may fear retaliation for identifying themselves at work. In Schmelkin’s opinion, that’s a legislative void that companies can fill through policy. Carr warned students against creating obstacles to their own development. People in the workplace are constantly interacting with peers, managers, and customers with very different backgrounds and experiences. When harnessed effectively, these differences can be the catalyst for creative breakthroughs and career success and the pathway to team and organizational learning and effectiveness; but when misunderstood, these differences can challenge values, performance, workplace relationships, and effectiveness. 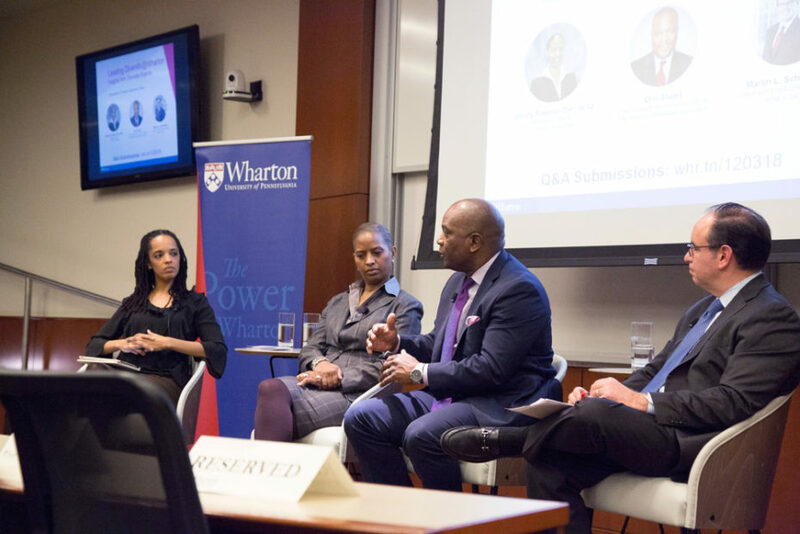 The Leading Diversity@Wharton Speaker Series is designed to help students enrolled in Prof. Stephanie Creary’s Leading Diversity in Organizations course and members of the Penn community become more aware of the opportunities, challenges, and complexities of diversity, inclusion, and leadership at work and equip them with concrete strategies for increasing both personal and organizational effectiveness in relation to diversity and inclusion at work.